Roaring 20s! Watch the Great Gatsby and get inspired. 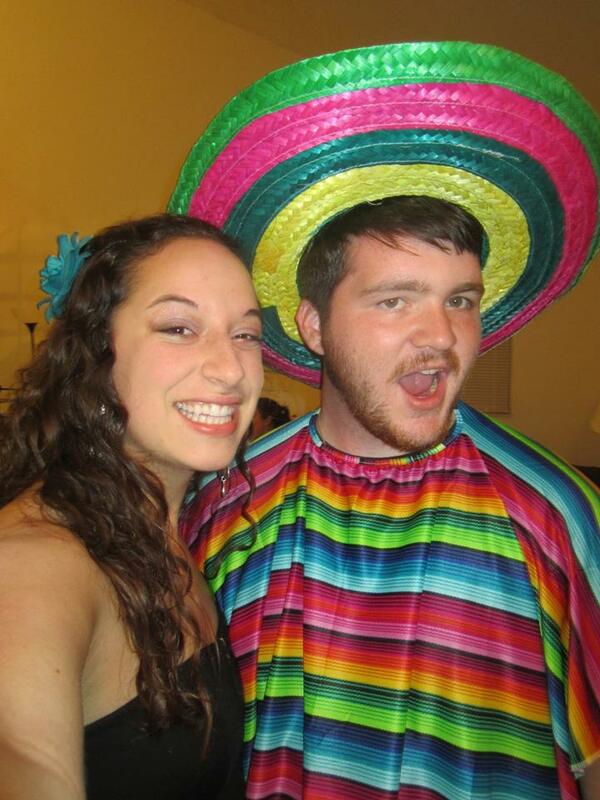 For this costume, my roommate and I only bought our head bands and feathers, spending less than $5.00 each! We wore simple black dresses, pearl necklaces, heals, and put our hair up in a cute 20s style. SO fun and simple and not scandalous! Go Greek! Take a sheet and wrap it around yourself. We used white, but you can use a color too if you want. 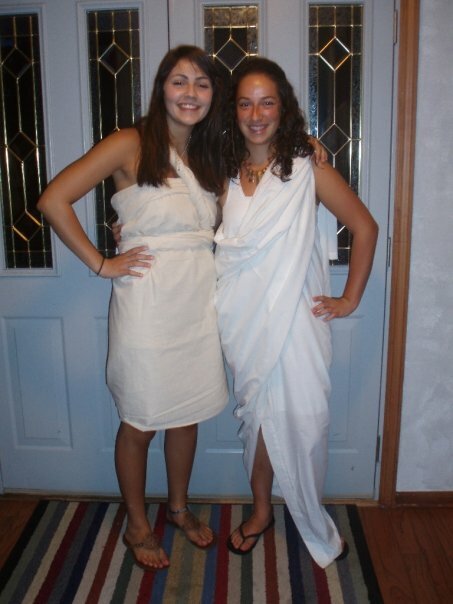 Google ‘how to turn sheet into a toga’, and you will find countless YouTube videos to help you. 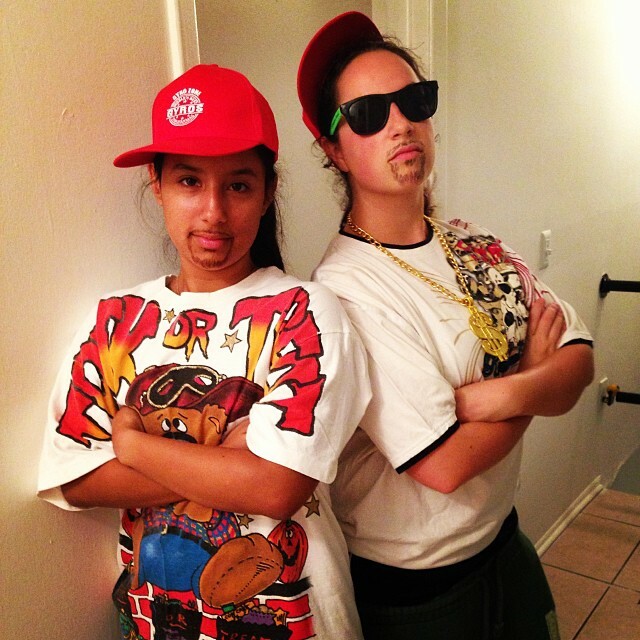 Rapper style. My friend and I went to Goodwill and found these baggy shirts, red hats, and chains. Then we used eye-liner to add some facial hair. Movie characters! 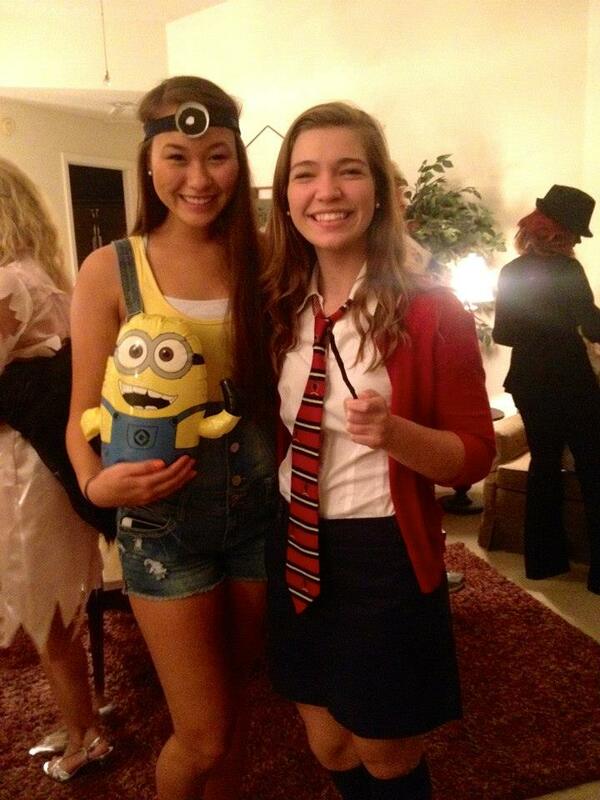 My friends dressed up as a Minion, from Despicable Me, and Harry Potter. They look adorable! Tacky prom! Go to Goodwill and find the ugliest dress there! The bigger the shoulder pads the better. 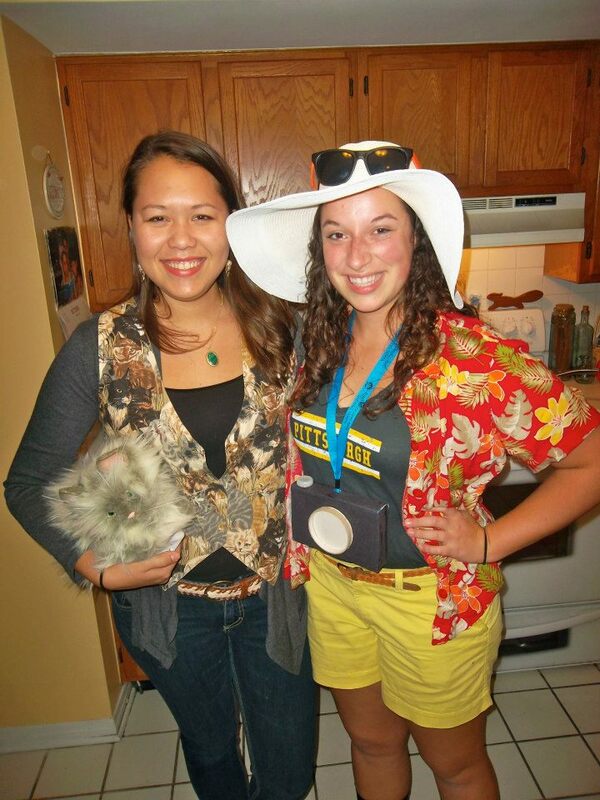 Cat lady and the tourist. My friend Erica wore her mom’s old vest that is covered in cats and brought a stuffed cat to carry around. I was a tacky tourist and rocked classic tourist items. All of the items I owned, so I did not have to buy a thing! A Christmas gift! My friend wrapped himself up and was a Christmas gift! What a great idea. I’ve also seen friends dress up as Santa and a Christmas tree. 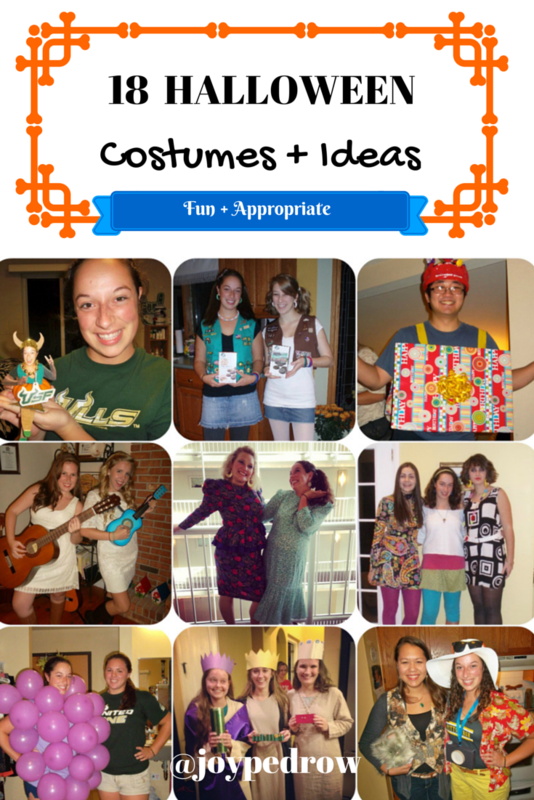 You can dress up as any holiday and celebrate it on Halloween! Food items! This has been my favorite Halloween costume so far! I wore a purple shirt and attached purple balloons with safety pins. I even added a fake green leaf in my hair to represent the vine. 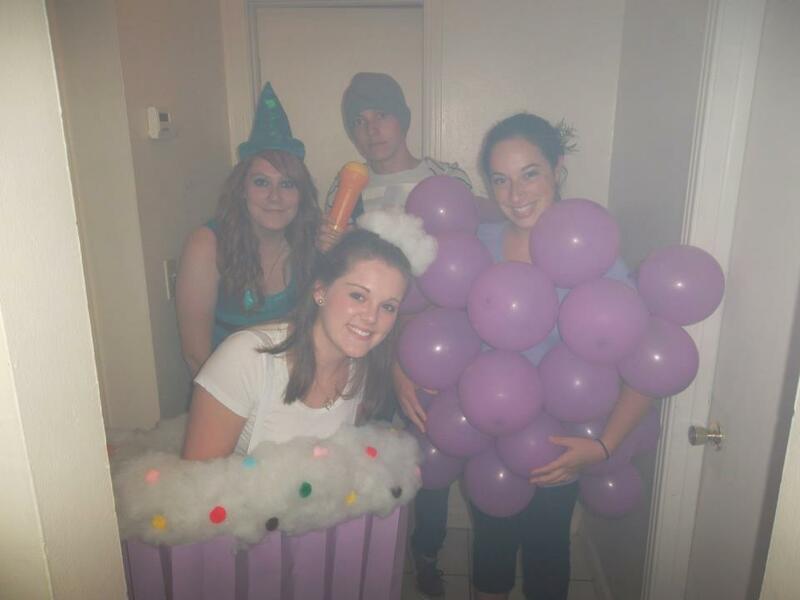 My friend Chloe, on my right, was a cupcake! Food items are always adorable costumes. Girl scouts! This one might be hard if you have never been a girl scout. 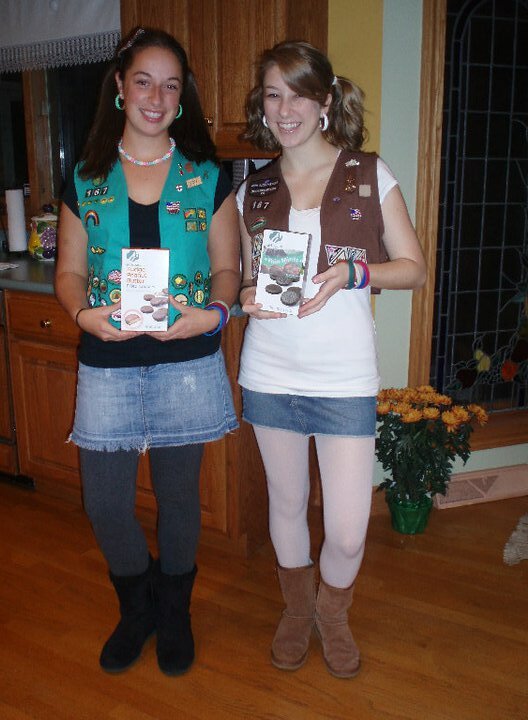 My friend Emily and I pulled out our old vests and bought a box of girl scout cookies. Simple and cute. The 3 Wise Men. 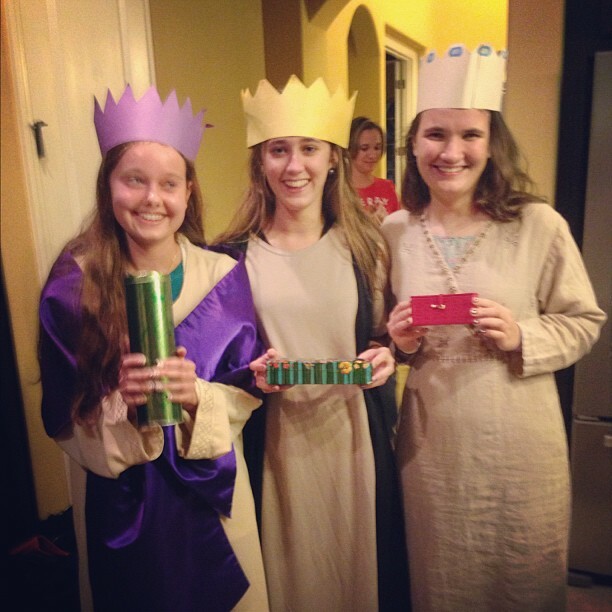 These girls look adorable dressed up as the 3 wise men! They made their crowns out of construction paper and found the rest at a thrift store. They spent less than $5 on each outfit! Cowgirl! A cowgirl is always an easy option. Especially, if you own boots, flannel, and a hat. 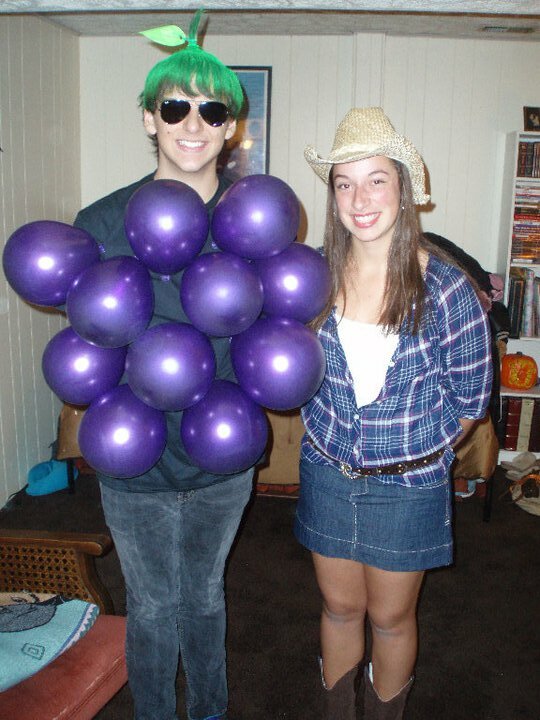 Next to me is my friend Jimbo who was the best grapes I’ve ever seen. He even dyed his hair!! Taylor Swift! 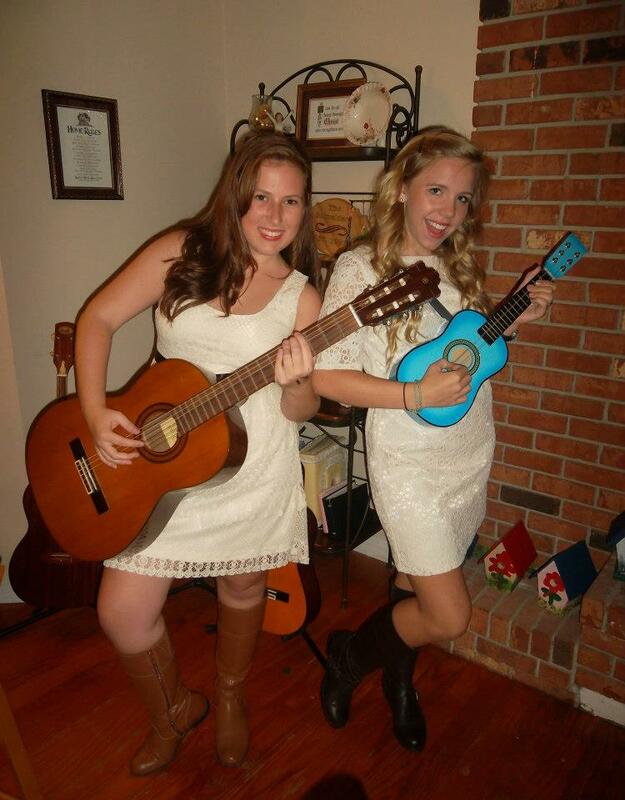 Two of my friends curled their hair, brought guitars, and turned into Taylor Swift! You can become any celebrity very easily and it is always fun! Flash back! 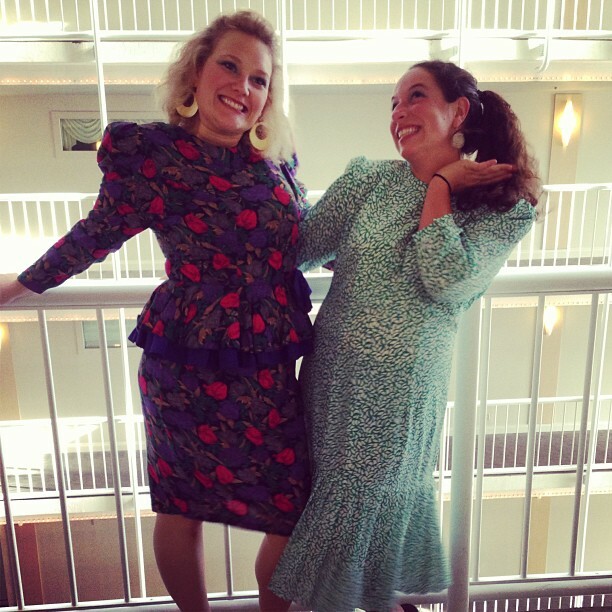 Choose an older decade and find an outfit to match! 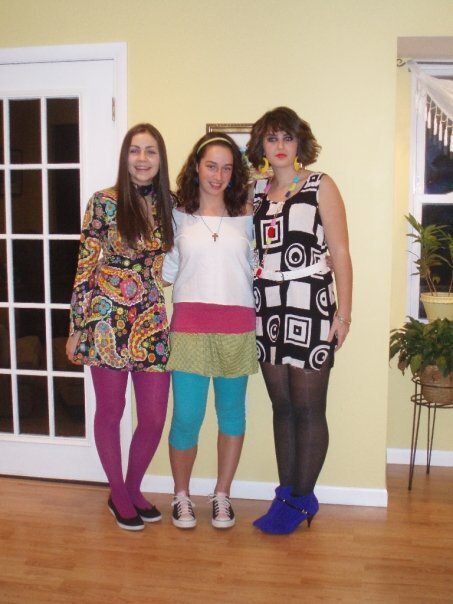 I just picked some bright colored items I owned, put them together, and then represented the 80s! Gum ball machine! 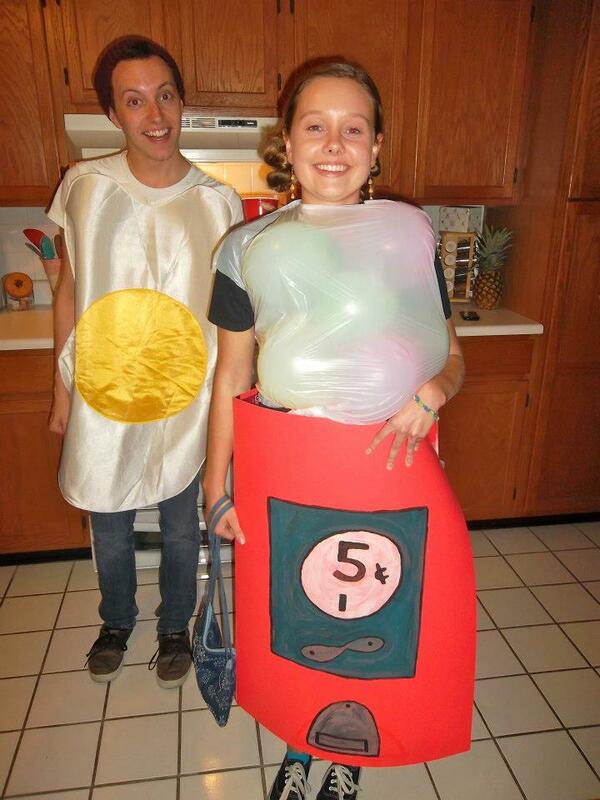 My friend went to a craft store and bought 2 poster boards, a garbage bag, and balloons to create this costume. So creative! Become a pumpkin! 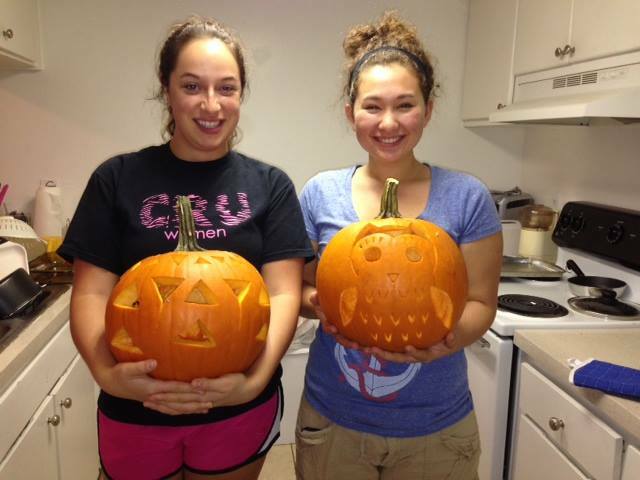 My sophomore year of college, my roommate and I turned into pumpkins! 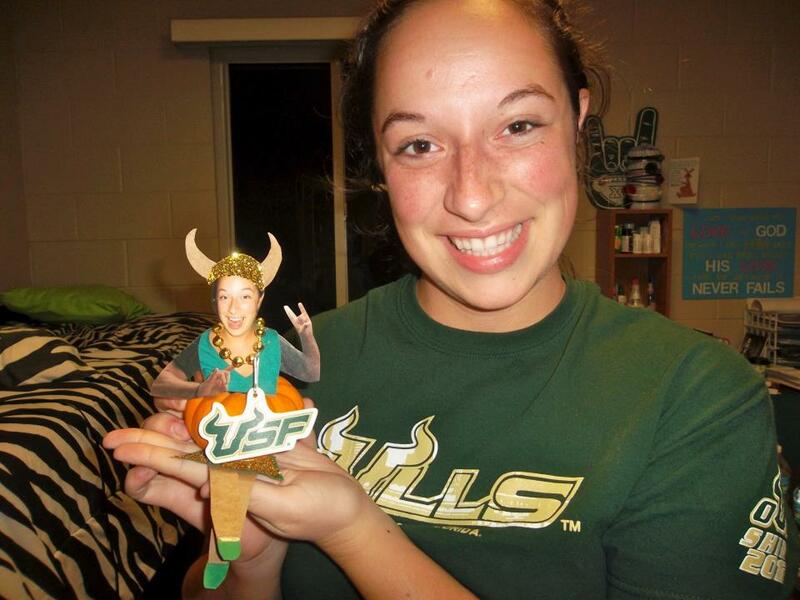 This is a simple and fun craft! 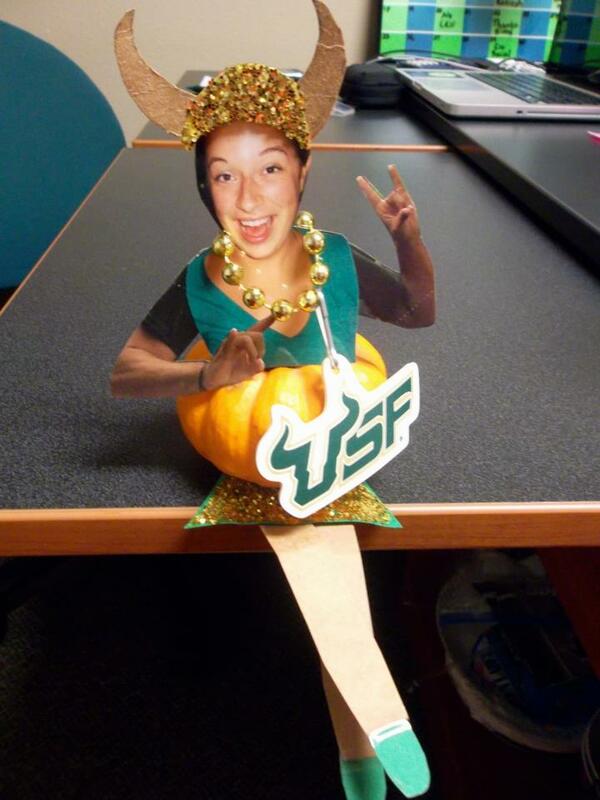 You need a little pumpkin, a photo of yourself, paper, glue, and whatever decorations you want. Carve pumpkins! This is a must every Halloween! Make sure to save the pumpkin seeds and toast them. We drizzled honey and put cinnamon on ours and they were amazing! 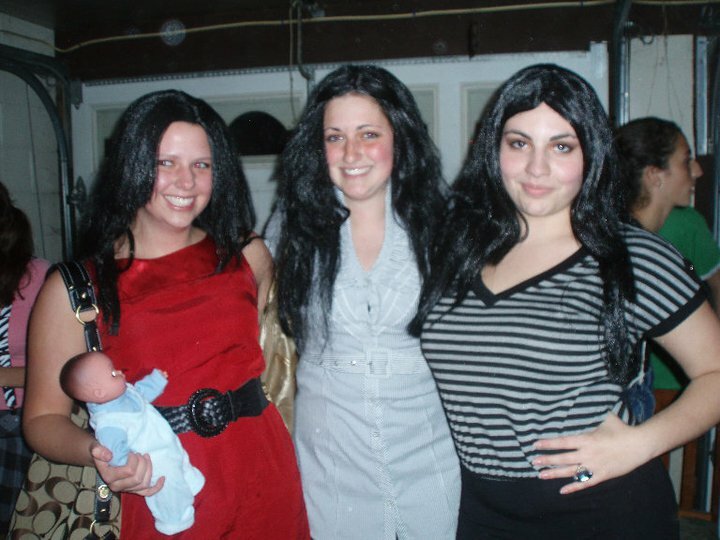 What are you planning on being for Halloween? 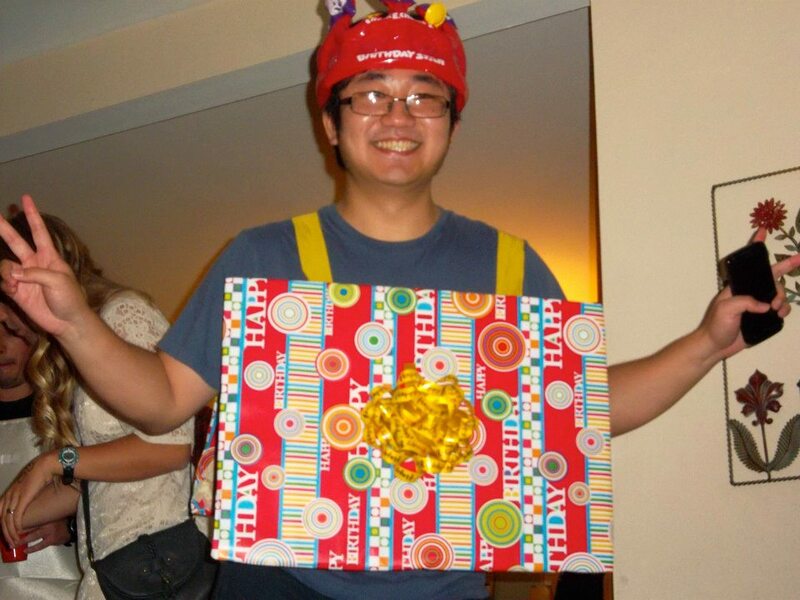 Have any amazing costumes from previous years? Leave a comment below to share! « Only Jesus can heal your heart. Too funny! I love the cat lady one- hahaha! These are some awesome ideas! My sister-in-law is having a Wizard of Oz themed Halloween party this year and since Dorothy and Glenda are taken I’m thinking of going as the lion…! Thanks Heather! I think the lion would be adorable!